Nestled against the San Joaquin Mountain range, the quiet community of Portola Hills offers newer and affordable homes with executive quality and style. 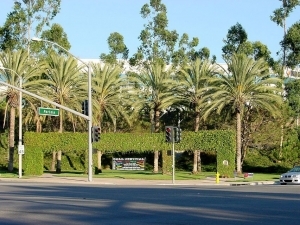 As one of Orange County’s newer cities, Portola Hills is crisp and clean, and with the addition of several business parks and popular shopping centers, it has become an ideal community for both living and working in. Portola Hills real estate is located slightly more east and south than its sister city Foothill Ranch. This lends itself to a more rural, secluded feeling. Yet like Foothill Ranch, it still retains the advantage of being within a short commute to the City of Irvine. If you are considering purchasing a home in south Orange County, you owe it to yourself to visit this fine community. It also remains at the top of my short list of preferred residential locations. Those who live in Portola Hills enjoy the quiet of the mountains and amazing picturesque views. It is close to Irvine and the 241 freeway. Portola Hills is also home to many young families. Outdoor activities are endless, with biking being one of the preferred sports.